The Super Bowl is one of the biggest single-day sporting events in the world. The NFL’s championship game not only draws more than 100 million television viewers on Super Bowl Sunday, but it also attracts tens of thousands of fans to the host city each year. This year, football fans will converge in Atlanta Feb. 3 for Super Bowl LIII. In addition to the actual game at Mercedes-Benz Stadium, fans will be treated to a week of pre-game festivities and entertainment centered in downtown Atlanta ranging from Opening Night and a three-day music festival at State Farm Arena, the Super Bowl Experience at the Georgia World Congress Center, and Super Bowl Live at Centennial Olympic Park. Surrounding businesses, from hotels to restaurants to retailers, will benefit from the influx of consumers during this high-profile event, and many are preparing by ensuring their in-building wireless systems are ready to handle the increase in traffic that will come with football fans this February. Neutral Connect Networks Vice President of Engineering, Alessandro Feitosa, answered three questions about how businesses can prepare their indoor wireless networks for major events like the Super Bowl. Question: What is the most common mistake large venue owners make when installing a DAS to support big events like the Super Bowl? Answer: The biggest mistake we see is not planning far enough in advance to accommodate large events with large audiences. Large construction projects usually face many challenges and delays. Having enough time to implement the network as designed, tested, and optimized in advance is key to ensure the user experience will be perfect during the event. Question: Does a small boutique hotel in a Super Bowl host city need to install/pay for an indoor wireless network? Answer: It depends on the guest experience you want to provide inside your hotel. Older buildings with dense outer walls, as well as newer buildings constructed with green materials, are notorious for blocking outdoor wireless signals. 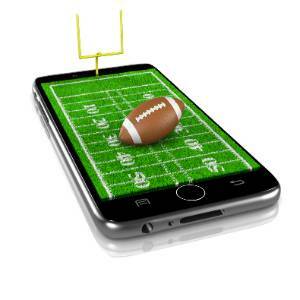 Guests who use their mobile phones to watch or socialize with friends about the game may experience interruptions on Game Day if you don’t have an indoor wireless network installed. A recent study showed that a primary reason guests go back to a hotel is the ability to stay connected through Cellular and Wi-Fi. Trip planning, communication with family and friends, work and cost reductions are keys to a great experience. Question: Since the Super Bowl is less than one month away, is there anything businesses can still do to ensure their venue is ready to handle wireless traffic if their building doesn’t already have an indoor network installed? Answer: Wi-Fi is the fastest, least expensive way to boost indoor wireless coverage in the short run. However, NCN also recommends installing a DAS or placing a Small Cell on your rooftop for future connectivity needs once Game Day is over. We work with all the mobile operators to provide the coverage and capacity your building needs. Small cells are also a potential monetization opportunity for you. 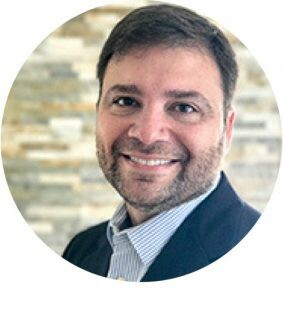 Alessandro Feitosa is Vice President of Engineering for Neutral Connect Networks, a neutral wireless hosting infrastructure company that services the transportation, hospitality, higher education, sports and entertainment venue industries. NCN has directly participated in wireless technology deployments for several large venues and major events across the globe including the Super Bowl, Major League Baseball, the MLS, the NBA, FIFA Soccer World Cup, Collegiate Athletics and the Summer Olympic Games.